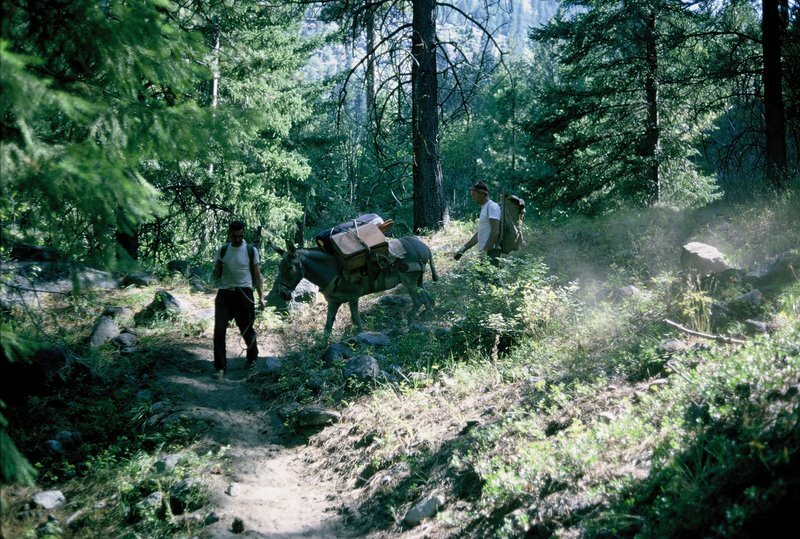 For centuries, people have traveled the world in search of gold. For years, I have been hiking the Cascades also searching for gold. I am not talking about the metal gold, I am talking about gold that lives and breathes; the golden trout. Goldens are native to a small mountainous area in California’s high Sierras. Luckily for us anglers, they are also stocked in a few high mountain lakes here in Washington. The difficulty for anglers is that goldens are typically found only in lakes that are very difficult to access. From my experience, striking gold normally requires climbing hills so steep that you have to pull yourself up with any available vegetation or hiking so far that an overnight stay is a necessity. In other words if you want to catch a golden, get ready to suffer! My obsession with the golden trout began when I was very young. 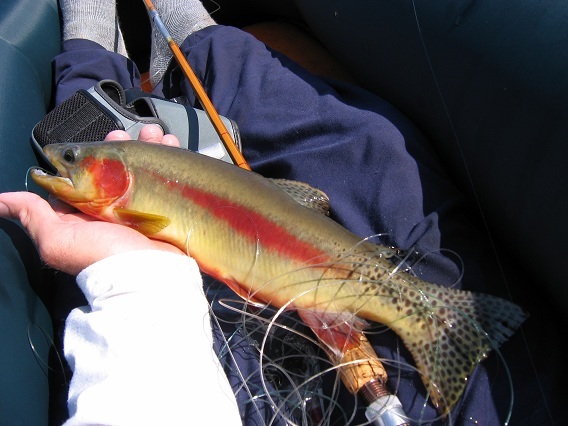 As a boy, I remember flipping through the fishing regulations and being awestruck by the picture of the golden trout. It looked fake. Could a fish actually look so stunning? I had my doubts that a fish could be that beautiful. It was then that I decided I would like to catch one for myself to see what it actually looked like. Prior to joining the Hi-Lakers in 2007, I fished high mountain lakes 3-5 times per year. It was something I liked to do, but I didn’t become a high lake addict until joining the Hi-Lakers. Being a high lake addict is almost a requirement for catching a golden. Catching them takes hard work, time, and more than a little luck. Not only do you have to be in the right place at the right time, but you have to fool a golden into taking your offering. I will tell you from experience, it isn’t easy! For several years I went to lakes that I hoped might have goldens only to hike home empty handed. In 2008 I went on a hiking trip with two fellow Hi-Lakers with the goal of catching a golden. It took over six hours to reach the lake; it goes without saying that it was very difficult! When we finally arrived to the lake I was not surprised that it looked so pristine. A few minutes later I was floating the lake in my raft, enjoying the amazing scenery and warm weather. I fished my way around the lake casting to all the likely spots with not so much as a bump. At the far end of the lake I found an area where the water seemed warmer, so I spent more time fishing that area. A couple casts later, I hooked a really nice fish. I suspected it was a golden, and when I got it closer to my raft, I could see the brilliant red stripe through the clear water. The fish took a couple nice runs and fought extremely hard. When I landed my first golden, I was in awe! It was even more beautiful in person than the picture in the fishing regulations! It was well worth the hard work and the long wait. Please respond and share your ‘first golden’ story. Not to worry, lake names do not need to be given! Here is a picture of my first golden! I remember that day well!! That was a great trip! Twice last year and once the year before I fished lakes that I had no idea had goldens only to find them. If you fish enough lakes you will bump into them once in a while. Plus I bet there are a few guys that could help you out this year! Hey, I thought I was with you when you caught your first Golden? LOL. Ha! Not the first, but one of the best surprises ever! Steve Regis helped me catch my first golden. 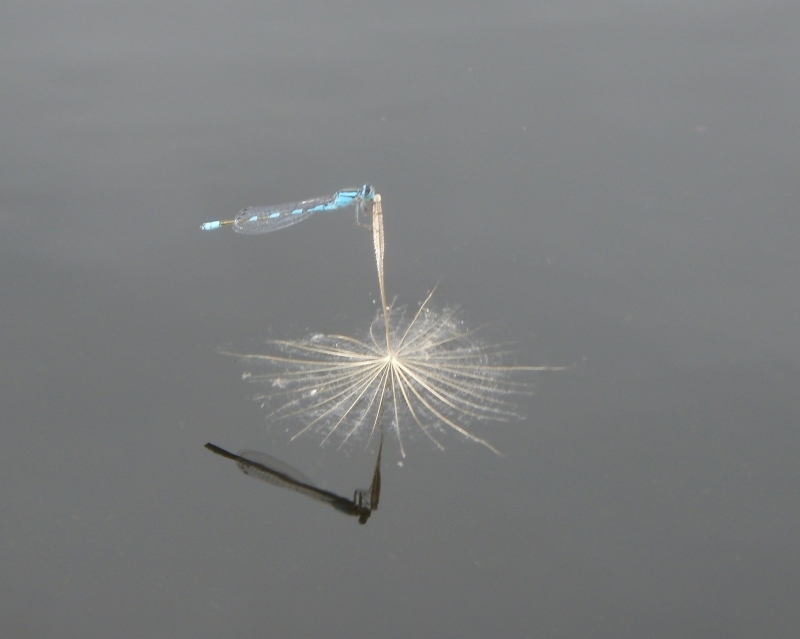 It was his special fly that made it possible. I caught 10 beautiful fish that day. I thought it was going to be easy after that but years of fishing since made me realize how special that day was. It’s a good year now if I catch one golden. They are indeed a special fish. There were two different trips in the mid to late 1980s’s were I caught Golden Trout in the Sierra Nevada’s. The first time was in 1986 in blackcap basin just west of Kings Canyon National Park in an unnamed lake over 10,000 feet(actually might have been over 11,000 feet) lake by Mosquito pass. The next year I caught golden trout in the John Muir Wilderness just north of humphreys basin basin(which is in turn is just north of Kings Canyon National Park) in area called French Canyon(specifically a small creeks, puppet lake and L lake). Also fished the Royce lakes but caught nothing. That was some really barren country. The royce lakes were well over 11,000 feet. So Golden are the prettiest trough I’ve ever caught. It took many casts to actually catch one but when they bite they put up a good fight. You know the wiki seems to have some incorrect information on Golden Trout concerning the elevations to catch them at. The wik says “The golden trout is commonly found at elevations from 6,890 feet (2,100 m) to 10,000 feet (3,000 m) above sea level”. That has not been my experience or what I understood about the Golden Trout. From my experience and what I thought was that Golden Trout were usually in lakes in the sierras over an elevation of 10,000 feet.